Boys: Bernard Cahill (Clare) Dylan Barrett (Clare), Conor Rooney (Clare) Declan Bredin (Clare) and Eoin Trihy. 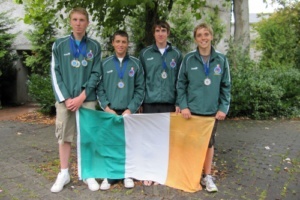 The Team will continue training under Team Coach Oisín McGrath in preparation for competition at the European Junior Championships, Antwerp, Belgium, 2nd-4th Sept 2010. Co Clare competitors set 15 New Irish Records. 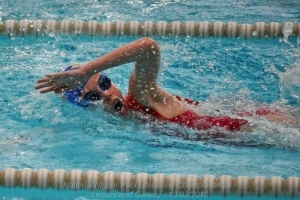 Lifesaving teams from Co Clare competed on Sat 20th Feb 2010 in Irish Water Safety’s National Irish Pool Lifesaving Championships in the 50 metre pool at UL. Competition was intense as almost 200 of Ireland’s top lifeguards demonstrated their lifesaving skills. 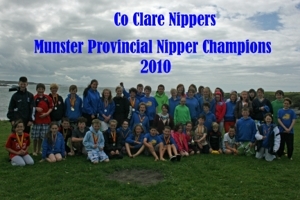 Clare Nipper competitors dominated at the National Nipper Pool Lifesaving Championships held in Leisureland, Galway. 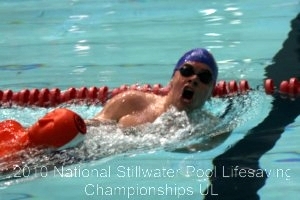 Nipper Events - What do the swimmers have to do? Holland, Romania, Italy & many Italian national teams. The combined efforts of our Irish Competitors – Oisin & Colm placed Ireland 3rd in the Overall Team category with Individual First and Second placings in the various events of Board Paddle, Ski Race and Ocean Man replaced by Beach Flags. Clare McGrath, International referee, together with parents and helpers ran the Irish Junior Surf-lifesaving trials in UL and White Strand (4th July). 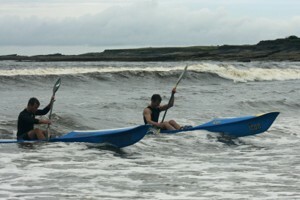 The gruelling competition tested the mettle of the athletes, and in the calm waters of UL and the choppy seas near Miltown Malbay, Clare competitors came out on top. Bernard Cahill, Dylan Barrett, Declan Bredin and Conor Rooney secured places on the boys team while Siobhán McGrath, Caoimhe Gowran and Lúise O'Donovan claimed their places in some very close contests. Many other Clare athletes who were on the Irish panel competed fiercely to make the team but just missed out this year. The main competition these athletes will now focus on are the European Junior Championships in Belgium this September. 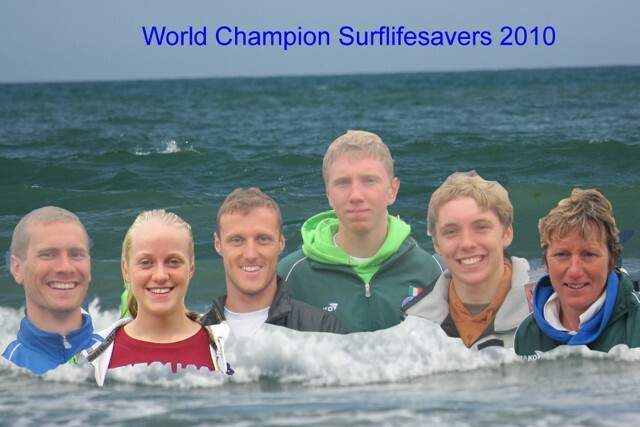 Clare Senior Surf lifesavers head to the World Championships. R-L Oisin McGrath (Clare) and Scott Morton (Wicklow) battle for first place in the Mens Ski Race. Co Clare Senior Surf lifesavers comprise half the Irish team heading to the Lifesaving World Championships in Egypt next October. Based on cumulated points awarded for places in the various events, the teams selected by the Sports Commission to represent Ireland are: Colm Fitzgerald (Clare), Oisín McGrath (Clare), Bernard Cahill (Clare), Dylan Barrett (Clare), James Hahessy (Waterford), David Butler (Belfast). The Ladies team comprises of Siobhan McGrath (Clare), Sara English (Mayo), Trish Brennan (Mayo), Triona McMenamin (Donegal), Maria Treacy (Donegal), Grace Doyle (Waterford). It is a great achievement and a testament to their hard work for the youngest members of the Irish team, Siobhan aged 16, Bernard aged 16, Dylan aged 17 to have earned a place on the Irish Senior team. 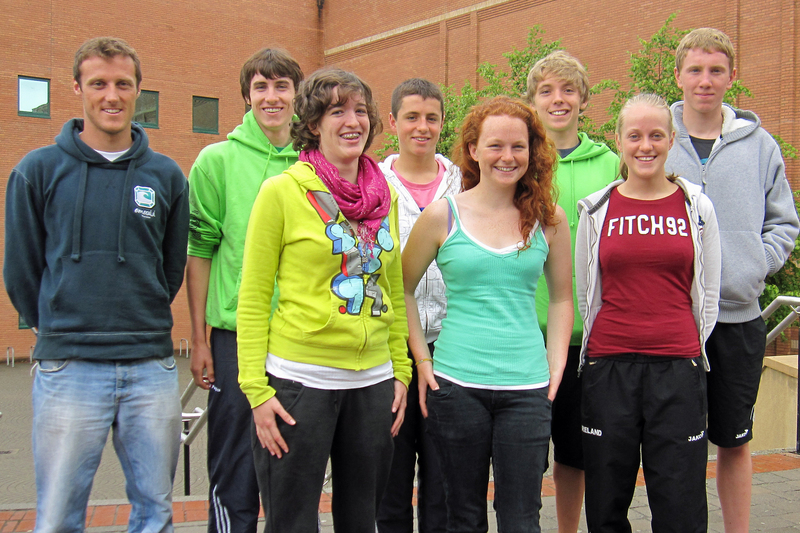 They recently qualified for the Irish Junior Team heading to Europe. Whitestrand beach, Miltown was a hive of activity on Sunday 21st August as the Munster Provincial Nipper Open Water Surf Lifesaving championships were held. 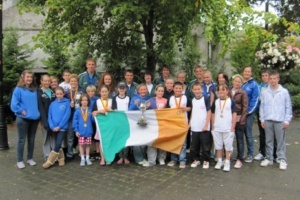 149 young people between the ages of 8 and 14 competed from counties Clare, Waterford and Cork. The Beach events included 50m Sprints, and 25m Beach Flags and water based events included a 200m Swim, 200m Board Race, 200m Fin Race, a 200m Taplin Relay in which competitors swim, use paddle boards, swim and run. While medals are awarded to the competitors placing 1st to 3rd, points are awarded for placings. It is the cumulative score of these points which determines the overall winning county. 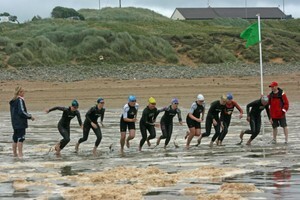 The National Nipper Surf Lifesaving Championships will be held in Inchydoney, Co Cork on 4th September next. All competitors who competed at the Provincials will now compete on a National level. The challenging sport of Surf Lifesaving tests competitors in events that simulate emergency swimming rescue scenarios directly related to elements of lifeguarding. Boys: Bernard Cahill, Dylan Barrett, Conor Rooney, Declan Bredin (all from Clare) and Eoin Trihy. The competition events take place on the Beach and Open water and in the Pool (Still water) competition. National Nipper Champions aged 8-14 show their Cup and medals earned at Inchydoney on Sat, 4th to their fellow Clare Surflifesaver European Champions. Co Clare lifesavers represented Ireland at National and Masters Competitions at the World Lifesaving Championships 2010 Alexandria, Egypt in mid October. Norma Cahill Competed in Masters Competitions and brought home 7 gold and a silver medal. Oisín McGrath Brought home 3 gold and silver. The contribution of the Clare members was phenomenal and brought huge success to the Irish Team. Ireland placed 17th in the World.